There are a number of options available for you to choose from, including tent camping at St. Paul’s United Methodist Church, sleeping on church’s gymnasium floor (both options come with access to restrooms and clean, hot showers), as well as local motels, hotels and bed & breakfasts. NEW for 2018: Holiday Inn Official Hotel Sponsor for Fall Foliage Bike Festival! We're excited to have the support of the Staunton Holiday Inn as our hotel sponsor for 2018. They're offering a special festival rate that includes breakfast at $209 per night (riders need to use code: T47 when booking rooms online or call the hotel at (540) 248-6020 and tell the staff you are with the bike festival.) What's more, The Holiday Inn is opening the hotel restaurant early on Saturday at 6 a.m. to give all riders time to eat before reporting to the start locations. 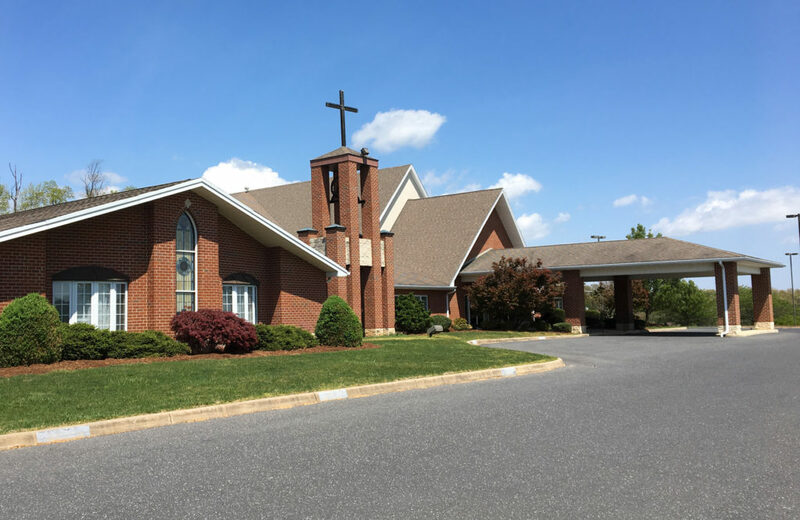 The Holiday Inn is located within five minutes of the St. Paul's Church Saturday start location and right on the Woodrow Wilson bypass at I-81 with quick access to the Sunday start location in Middlebrook as well. Whatever option you choose, we hope you have a restful stay with us in the Queen City! Under the stars or inside the gym, it’s the cheapest option in town. Tent camping: $10 fee (per tent) covers two nights. Access to church restrooms and showers. Gym camping: $10 fee (per person) covers two nights sleeping on the church's gym floor. Bring your own sleeping bag or bedroll. Access to restrooms and showers. Limited breakfast options are available for purchase Saturday morning from church groups on site, or get up early and head to a local restaurant before your ride begins. Sign up for these camping options through our registration page. Local options available at every price range. From economy to luxury, we have it all. 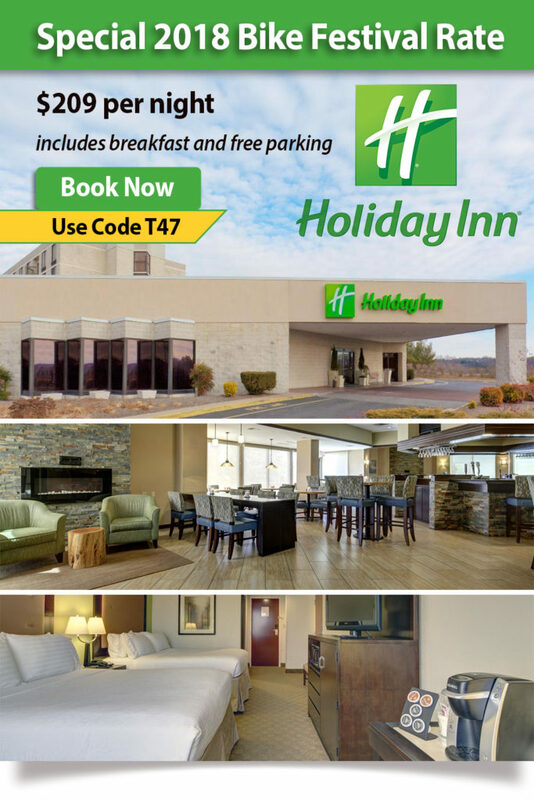 Special rates for Festival attendees are available through our sponsor, Holiday Inn — conveniently located off Interstate 81 at exit 225, just a few minutes from our Saturday Century and Metric start location at St. Paul's United Methodist Church. For Holiday Inn booking, riders need to use code: T47 to book rooms online. You may also call the hotel at (540) 248-6020 and tell the staff you are with the Fall Foliage Bike Festival. 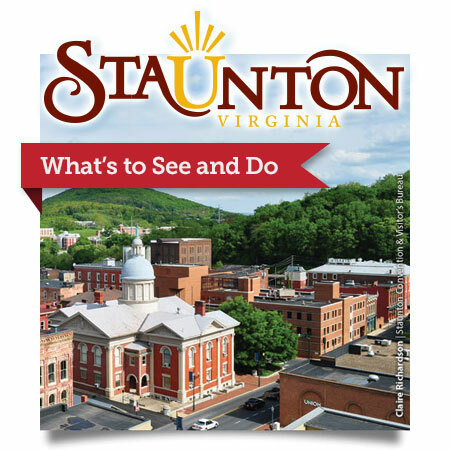 The Staunton Visitor’s Guide linked above offers a wonderful and comprehensive overview of all Staunton has to offer. From lodging to dining and area attractions to special events, you’ll find it a great resource for planning your perfect Bike Festival weekend! Ding, ding, ding goes the 25-cent trolley service through Staunton!